You Are Engaged! What’s Next? A marriage proposal made over the holiday season is considered to be incredibly romantic. 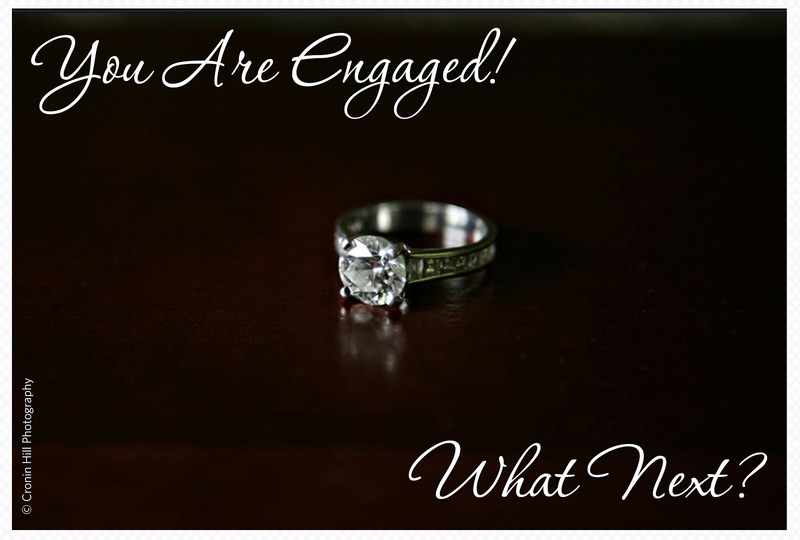 If you were one of the many couples who recently got engaged, your thoughts could be many at this moment in time. You may already be in full planning mode! Some couples know exactly where to begin where others need a little help getting the ball rolling. We’ve put together a short list of places to start in the planning process. With the right assistance, your dream wedding can come together quickly and beautifully! Purchase an accordion organizer or a binder to keep all of your wedding planning pieces. Label each folder or tab with various areas of wedding planning—church, rings, cake, photographer, music, etc.—where you can keep everything in its place. Begin to gather all your resources—parents, in-laws, your own contributions—and develop an overall budget for the wedding. Include everything from the wedding dress to the rings. You want to create a big picture. You can find budget worksheets on popular sites such as The Knot. These worksheets help you breakdown your budget into amounts you should allocate for each piece of your wedding. Your guest list could be a determining factor for your budget. A lower budget might dictate that you need to keep your guest list small and intimate. Create an initial list to give you a sense of your total number. In some cases, parents may like to suggest some guests for the list as well. You’ll want to know so that you can have an accurate estimate. Spend some time talking with your fiance about what your ideal wedding would look like. Think about the location, the food, the overall experience you want for your guests and yourselves. You will also want to make sure both of your needs are met in terms of your vision. Do you have your heart set on having an organic menu or perhaps you are searching for a rustic venue? Do you want a band or a DJ or even additional options for entertainment. Spend some time talking about what each of you would love to see as part of your wedding day so that your wedding fits your specific personalities and style. For some, the assistance of a wedding planner or coordinator is an important place to start. You’ll want to find someone you feel comfortable with since you will be working with her/him over a long period of time. A Wedding Planner can be involved as much or as little as you need them to be. Many places book out a year or more in advance. If you are looking for a venue that could accommodate your ceremony and reception, that could narrow your options a little. Riverside has multiple options for both ceremony and reception locations, creating a special experience for each event. These are just a few steps to get you started. If you are planning or would like to plan a Vermont Wedding, contact Liz Cotter at 802.282.9880 or email us at info.riversidefarm@gmail.com. Check back here in the coming year for ideas and advice on planning your dream wedding! Comments Off on You Are Engaged! What’s Next?